Ok, never considered not touching the adjusters, good practice is to remove, clean & re-grease them at every opportunity. I can see now how so many people have had them seize in the swing-arm, at great expense. Think I'll continue doing like Frank says. .... healthy coating of Copaslip .... as 'every time' isn't even once a year (more like 18 months), usually only tyre change time. Bit confused here, not difficult How come you only noticed when putting the wheel back? You would have had to back the adjusters right off to get chain off to get the wheel out. You don't take the spindle out and then roll the wheel forward to release the chain? It's the way I've always done it, no need to readjust the chain afterwards then. So you don't remove, clean & re-grease the adjuster either. Like said previously, no wonder so many are seized in swingarms. It's been posted up on here so many times yet people still persist in not maintaining that adjuster. Have you not read the last few posts. Stainless adjuster bolts, copper greased when fitted. Haven't had any problems with them seizing. Probably be ok, they aren't tightened as such. You may have noticed Triumph do not fit St/St screws into alloy, there is good reason. You may have noticed Triumph do not fit St/St screws into alloy, there is good reason. 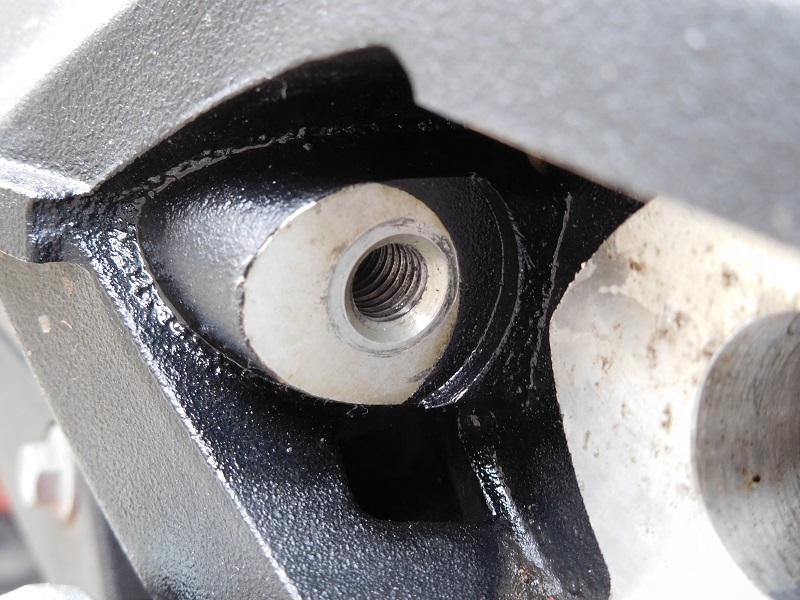 Luckily then that the adjuster screws aren't directly into alloy ….. but steel (boss type) thread inserts. Ok, I should go specsavers. The issue of corrosion is only marginally increased in that case then. See link below. I would still remove, clean & re-grease the adjustment screw at every wheel out though. Why wouldn't you. Have S/S screws fitted and as said previous post … personally I agree and do. Sorry did not mean to open a bag of worms ,But very interesting site on corrosion.